Suggested by Sonic Shulk can see the future and he has some pretty good sword techniques. He’ll definitely give Sonic a run for his money. 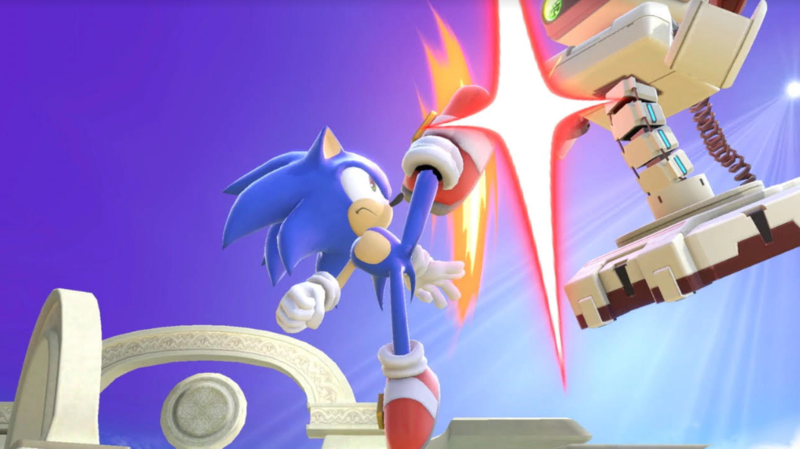 That being said, Sonic’s fast enough to dodge all of his counter attacks and still land his share of blows. 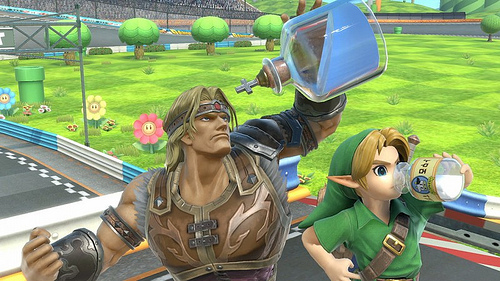 I think the difference in ability here is going to be way too vast for Shulk to do much. 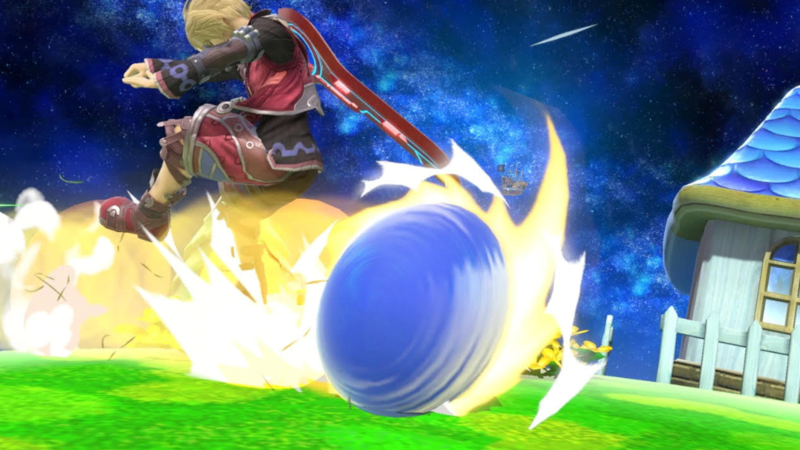 Once Sonic goes super he just will be too fast for Shulk to even think of landing a hit. Sonic wins. Suggested by Sonic Shy Guy is a pretty tough guy, but he’s definitely not ready to take on someone like Sonic. 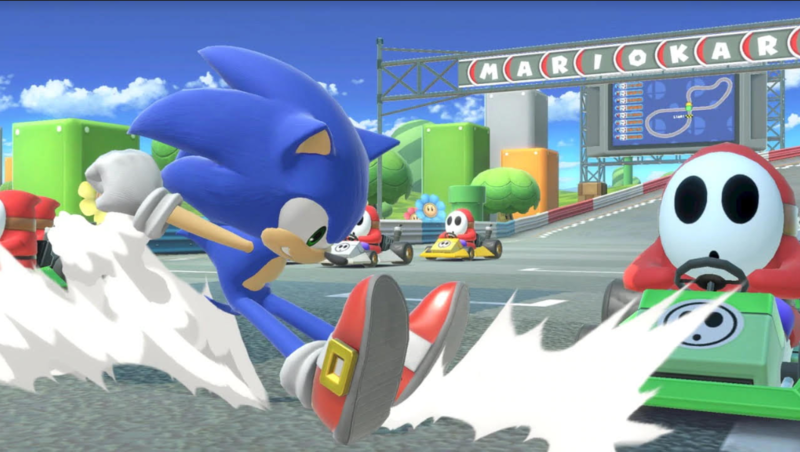 Sonic’s got super speed for days and a lot of combat experience aside from all of that. When he uses the Chaos Emeralds Sonic can even achieve a Super state. At that point, there just isn’t anyone who can hope to challenge him. Shy Guy can try to run, but he simply can’t hope to escape this hedgehog. Sonic wins. Suggested by Sonic Sonic’s a pretty fast guy. Lets not forget that he’s the one who ended the whole Subspace war single handily. ROB would be wise to just stay out of his way. That being said, he does have a lot of long range options and should be able to cause Sonic a little discomfort. I don’t think the victor will ever be in doubt here, but at least ROB can make things interesting until Sonic gets bored and ends this. Sonic wins. 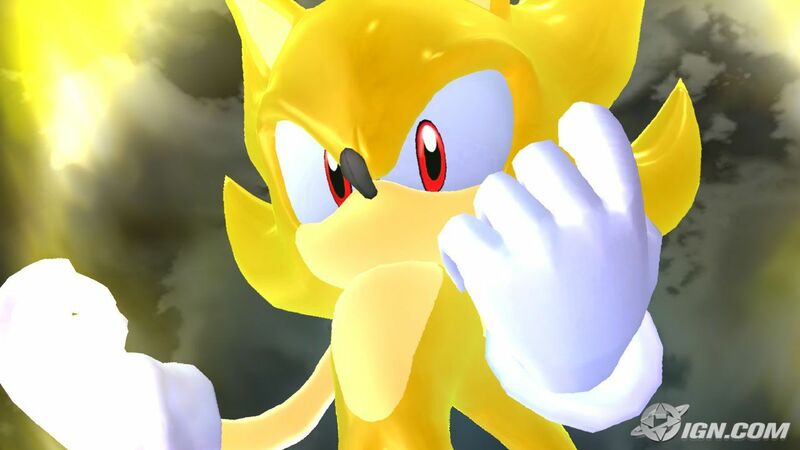 Suggested by Destroyer Sonic is extremely fast which makes all matches with him rather difficult. While he doesn’t have the raw power that a typical Shonen Jump lead has, he can still match them thanks to his speed. Well, Naruto’s also very fast and should be able to react to Sonic’s attacks. Throw in the fact that he hits a lot harder and I think you can make a legitimate argument for him winning this round. Naruto will be able to eventually overwhelm Sonic, but it’ll be a tough fight. 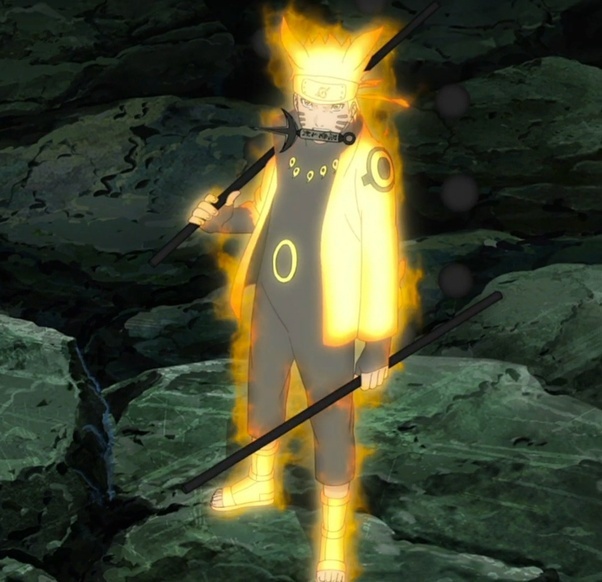 Naruto wins. Suggested by Sonic Falco has returned, but now he faces a true speedster in the form of Sonic. 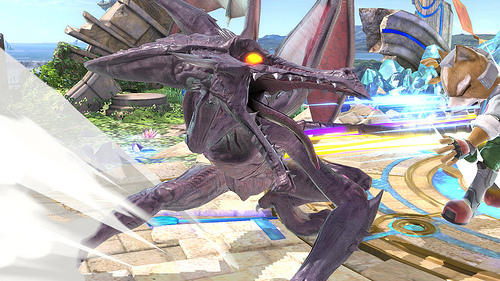 None of Falco’s attacks will be of any use here as he won’t be able to land a hit on Sonic. Sonic is simply way too fast and that’s not even counting his various super forms. 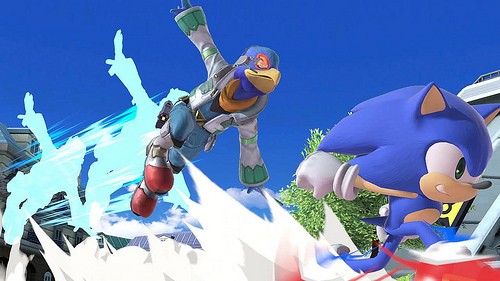 Sonic could end the fight before Falco even realizes that he has been hit. Such is the potential of limitless speed. Sonic wins. It’s time to look at a fairly recent side scrolling game that I was able to nab for free on the Wii U thanks to the MyNintendo Rewards. I can’t say that I had ever heard of the game prior to getting it, but it’s considerably better than I expected. It’s not that I expected it not to be good, but I wasn’t prepared for the game to have such a satisfying plot with so many cutscenes. The voice acting also helped it excel to the next level. It’s a very complete game that has a solid amount of difficulty while always remaining fair and balanced. The game starts off by assuming that you are familiar with the characters and the setting. That’s always a good approach and even though it would be impossible since this is the first game in the series, it shows that the writers already have a pretty good idea on the background behind the characters. I’m sure we’ll be learning quite a lot about them in the sequels. For now, what you need to know is that Lilac is the main character. She’s a powerful dragon who has the ability of super speed at her disposal. In an instant she can cross large distances like Sonic. When an alien crash lands on the planet and warns her that an alien invasion is coming Lilac prepares to help. The problem is that both kingdoms on her planet refuse to co-operate and her friends aren’t strong enough to help her. It’s time for Lilac to save the world! The gameplay is your classic 2D side scroller. You run and jump as Lilac as you attempt to get through the level. These stages aren’t always linear though as you may have to go back and forth to find card keys or find where the true path is. Most games of this style put in a lot of pit falls to trip you up and that’s actually the main area where the 2D Sonic games tend to falter. This one makes no such mistakes and the only level where you even can fall is the final one. The rest are fine so you can just focus on speed blasting through it. As far as attacks go you can trow out a slicing attack, skyward uppercut, ground dive, and even a super charge. The charge gives you invincibility against almost any kind of attack and is really handy against bosses. However, the best attack in the game is certainly your helicopter move. Just double tap the jump button to activate it and deal heavy damage. The move does have a lot of end lag though so against the final boss use it with caution. The bosses are all quite diverse with a lot of different attack patterns to memorize. The game doesn’t bother with recycled animations or levels the way that some games do. This one has a lot of heart and you can tell that the developers did everything they could with what they had on hand. The gameplay is just a blast and it’s easily one of the best 2D games I’ve played in a long time. 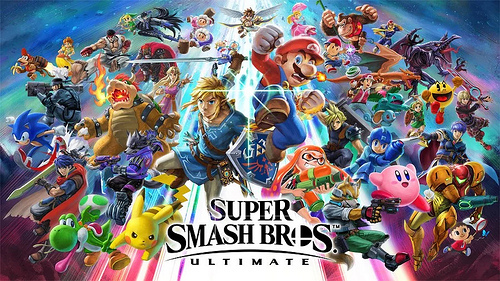 In terms of sheer gameplay it even dominates popular franchises like Sonic, Kirby, and Yoshi. Mario’s still the best in the genre, but I dare say that this has a solid shot to be 2nd. Of course, it’s a little soon to be saying that after one game so we’ll see how the sequel holds up. Hopefully it is ported over to the MyNintendoRewards shop soon. The graphics are very solid as well. The character designs are on point and the sprites are very polished. It’s the kind of game that is easy to look at and everything is clear so you always know where the obstacles are. The enemy designs are also a lot of fun. Even when there are a bunch of enemies on screen the game rarely lags which is quite impressive as well. We can’t forget about the soundtrack and that holds up just as nicely. The themes are all very fast paced and really get you into the heat of the moment. On a technical level this game doesn’t falter. Then we get to the length of the game which is reasonable. It’ll take you around 4 hours to complete the game. Of those 4 hours around 1 hour will be comprised of cutscenes. As I mentioned earlier the story is quite extensive to be honest. Some levels have huge breaks in between them with the multiple cutscenes and they do a good job of getting you invested in the characters. There’a good amount of replay value here as you can play as Lilac’s two friends who have unique levels and a different story perspective. Maybe it would help you like them as much as Lilac although that seems doubtful. You can also try to collect all of the badges and cards which would likely take quite a long time to do. Time to quickly talk about the characters. Lilac is a selfless hero who is always charging into danger. She feels that by jumping into the fray like this her friends won’t have to, but they aren’t happy about this since they have to bail her out. I agree with Lilac’s logic here even if the friends aren’t really on board. Every time they try to help they get taken hostage or something so Lilac taking point makes sense. Her dragon abilities also make her considerably powerful. She’s definitely the best character in the game. Then we’ve got her best friend Carol. 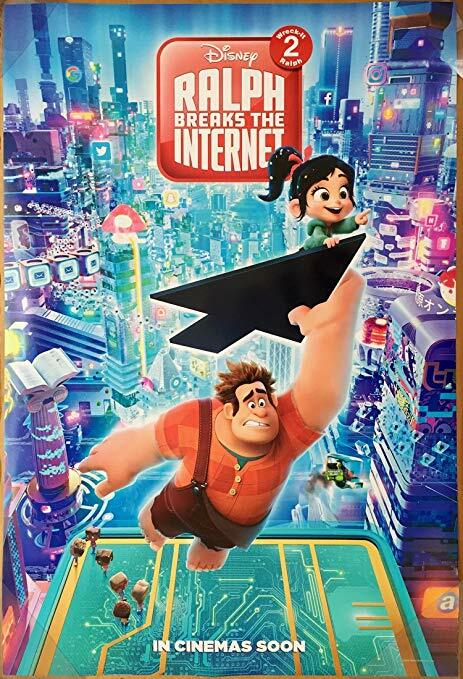 Carol is more about having fun than saving the world, but she’ll tag along with the lead to keep her out of trouble. Carol’s a decent character, but she does crack midway and basically ends up proving Lilac’s point about why she shouldn’t be involved in this. Carol can fight reasonably well though and makes for a good assist when she has finally calmed down. The only member of the trio that I didn’t care for was Milla. Milla is more of a kid than the others and gets rather scared by what is happening. The game may have plans for her, but she doesn’t have as much potential as the other two. Torque is the alien who crash landed in the first place and I can’t say that I’m a fan of him either. The guy is constantly yelling at the natives to work together, but his planet was the first to lose so he can barely talk. He always seems prepared to destroy anything to stop the villains as well so I can’t really call him a hero. Add that to the fact that he isn’t useful in a fight and the guy is basically just around to slow everyone down. Spade doesn’t get to do much here, but considering that he is the big rival I’m sure he will do more in a sequel. He seems to have a history with Lilac and his speed is on her level. I look forward to seeing him appear again soon and he is probably the only character who could possibly surpass Lilac. Finally we have Brevon who is the main villain. He’s certainly a brutal antagonist as he rips his opponents to shreds. I even feel bad for the prince that he mind controlled since the heroes never actually find this out so they end up beating him up and possibly destroying the prince since they thought he was just another villain. Brevon is certainly thorough when he conquers planets and is a very legitimate threat. He made for a great final boss, but getting on Lilac’s bad side was probably a big mistake here. There are other characters like the two governments but they weren’t quite as noteworthy. The body guard who was always talking back to Lilac seemed cool though. She would have made for a solid boss fight. For one last point on the gameplay, I also liked the game’s continue system. Some games force you to restart the whole level when you get a game over, this one just sends you back to the check point. That’s definitely a good thing if you ask me since some levels are over 25 minutes long and doing the whole thing over again would have been quite the chore. Likewise if you die to a boss’ 3rd phase when you come back that’s the phase that you will start with. It helps make the difficulty a fun challenge as opposed to a tedious chore. With no huge punishment for losing you are able to experiment more. Overall, Freedom Planet is definitely a really fun game. The plot is a lot of fun and I’m still impressed that there was full voice acting. Admittedly the sound did fluctuate quite a lot though so sometimes it was rather difficult to make out what was being said, but fortunately there are subtitles. Learning how to beat a boss through repetition is fun here and the game rewards defensive play in the meanwhile. If you rush in without a plan you aren’t very likely to succeed. Slow and steady wins the race. If you haven’t played this game yet then I highly recommend doing so. You will never look at the genre the same way again.